Using our newly released Mobile Tracking Solution, you can track a car from your PC, IPhone App or any mobile phone. 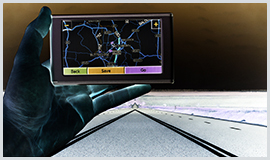 UK Car Tracker offers a wide range of vehicle tracking devices, such as Pay As You Go Trackers that come fully equipped with SMS credits and an initial number of tracking locations. In addition, our economical annual packages include a vehicle tracking system with a set package of SMS credits monthly and unlimited tracking locations. The functionality of web enabled control panel is second to none and it has been specifically designed for ease of use. The panel enables you to set a circular perimeter, the distance of your choosing, around certain area also known as a geo fence (You will receive a notification on your mobile phone when you vehicle tracker steps out of this barrier while exiting or entering or both). From our control panel, you can view your vehicle tracker and also the device will return the address location details via SMS if you call it from your mobile phone. Our vehicle trackers are a must have for businesses and families alike, combining these features with easy to use location history reports with on demand real time tracking.